Red Plains Pipestone: Catlinite ? rocks and turned them red.” ….Catlin 1859. The artist/explorer was describing a Native American legend place on the Coteau du Prairie of southwestern Minnesota which today is called Pipestone National Monument (Figure 1). This location is the place where Native Americans, to this day, quarry the brilliantly colored red stone whose namesake is taken from George Catlin.Catlinite is actually a misnomer term for any easily worked soft red argillaceous stone. It is native to a number of places including South Dakota, Wisconsin and the well known Pipestone National monument region. This material is used in the manufacture of stone smoking pipes, beads and other ornamental objects by Native American cultures; some of which are around 2500 years old (i.e. tube pipes). Much debate has been brought to the forefront regarding the sourcing of Red Plains Pipestone a.k.a. Catlinite (for example see Brown 1989; Gundersen 1987; 1991; 1993; Sigstad 1973). In Pennsylvania Red Pipestone objects begin to appear archaeologically during the mid 17th century. One splendid example in the collection of The State Museum of Pennsylvania is a calumet style pipe from the Susquehannock Strickler site (36La3) dated at 1645-1665 (Kent 1984). This is the earliest example so far reported from a Native American site in the Susquehanna Valley. The remaining red pipestone objects in the collections that retain known provenience data are additional pipes, beads and pendants – items of personal adornment that relate to 18th century Native American occupations. 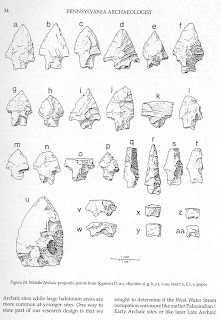 Representative examples of some of these forms as well as the Strickler site calumet are shown in Figure 2. Red shale objects from the Catskill formation which are similar in appearance to Catlinite were reported at the Summy Site (36Le1) an early Shenks Ferry component (Witthoft 1952). These objects were cut and ground to shape; the complete example was formed into a triangular pendant. A subjective streak-plate combination Munsell Color test procedure for discriminating differences of Red Plains Pipestone material from Susquehannock and Seneca sites has been completed. This study that suggests the Susquehannock related objects were from quarry sites in Wisconsin and Minnesota and the Seneca site material solely from Wisconsin source(s). Catlinite is red pipestone, however, not all red pipestone is Catlinite, by definition. Elemental/mineralogical sourcing of the so-called catlinite objects from Pennsylvania would be necessary to determine definitely, their quarry origins so one may only state that the stone from which they are made likely originated from a source(s) somewhere in the mid- Continental United States. 1989 The Calumet Ceremony in the Southeast and Its Archaeological Manifestations. Indians. Two Volumes in One. J.W.Bradley, Publisher. Philadelphia. National Monument, Minnesota. Research/Resources Management Report No. MWR-17. 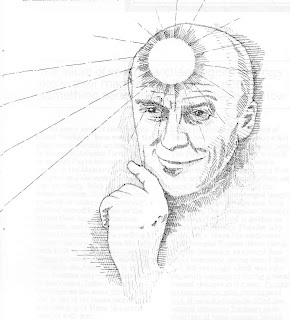 1993 “Catlinite” and the Spread of the Calumet Ceremony. American Antiquity. Comments. The State Museum of Pennsylvania. Park Service, Midwest Region, Omaha. 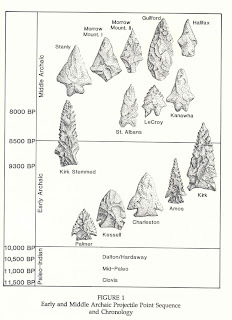 The Stanly projectile point type was described by Joffre Lanning Coe in 1964 in his definitive work The Formative Cultures of the Carolina Piedmont. Coe characterized it as having “a typical Christmas tree shape”. He found it within a deeply buried context at the Doerschuk site located in North Carolina and dated it to the Middle Archaic period at about 7000 years old. The Stanly type is not particularly distinctive in that it is simply a straight stemmed point with a slight notch in the base (not to be confused with the sort of basal treatment indicative of the bifurcate point). Sometimes it is serrated but it does not have a ground base like many Early Archaic point types. As noted by Coe, Stanly points can be confused with points from later periods that have been re-sharpened. Coe felt that the point type had morphological parallels with the earlier Archaic Kirk type, thus suggesting a period of cultural continuity spanning two millennia. Although not particularly common, the Stanly type is found at stratified sites as far west as the Ice House Bottom site in Tennessee and as far north as the Neville site in New Hampshire. It is stratigraphically found above bifurcate points but below Morrow Mountain/Stark points, both broad bladed stemmed points. The Neville site was excavated by Dena Dincauze who felt that the projectile points found there were slightly different from Coe’s definition for the Stanly type and named them Neville points. At the Neville site the point type was associated with atlatl weights and full-grooved axes. Using carbon 14 dating of charcoal, she was able to bracket the component to between 7015 and 7740 years ago. The largest stratified Stanly site in Pennsylvania presently known, is the West Water Street site (36Cn175) in Lock Haven along the West Branch of the Susquehanna River. This was excavated by Dr. Jay Custer of the University of Delaware. He recovered a total of 47 Neville/Stanly points which represents over 80% of the Middle Archaic points from the site. The occupation at West Water Street was dated at 7390 + 110 years ago (Beta-63528). The makers of these points where not especially discriminating when selecting lithic materials and instead used whatever was locally available. This is in clear contrast to what was the norm for Early Archaic people who frequently traveled great distances to acquire better quality lithics for making projectile points. As well, based on lithic utilization, their territories were smaller, perhaps half the size of Early Archaic territories. Other stratified sites producing Stanly/Neville points in Pennsylvania include, the Memorial Park site also in Clinton County, and the Treichlers Bridge site located in the Lehigh drainage of Northampton County. 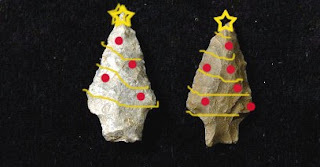 One would have to agree that the name “Christmas Tree”, whether it be a formal designation for a projectile point type or a Yule tide symbol, has been around for a very, very long time. In the late 1980s, the City of Harrisburg began to experience an economic rejuvenation under the driving force of the newly elected mayor, Stephen Reed. One of his projects was the revitalization of City Island, situated in the middle of the Susquehanna River. He proposed a new parking lot, a new baseball stadium and a variety of other attractions. At one point, he proposed a hydroelectric dam that would turn the river into a lake, flood part of the island but encourage more recreation. Another proposed project was the Sports Hall of Fame. Federal permits were necessary for these proposed projects and because it had long been known that the island was inhabited by prehistoric peoples archaeological surveys were conducted under section 106 of the National Historic Preservation Act. To shorten a very long story, much of the outer margin of the island (200-300 feet) and the southern section below Market Street consisted of recent flood deposits. The northern section above the Walnut Street Bridge was largely disturbed by a series of baseball stadiums and a large water treatment plant. However, located in the center of the island is a well stratified archaeological site recorded with the Pennsylvania Archaeological Site Survey (P.A.S.S.) files as 36Da12. The City of Harrisburg supported several seasons of testing in this area and the Bureau for Historic Preservation continued to conduct public excavations during Archaeology Month until 2004 when the focus of excavations were moved elsewhere. Site 36Da12 contains components that range from a Middle Archaic bifurcate point occupation beneath eight feet of alluvium to a light scatter of Late Woodland artifacts in the plowzone directly under the macadam parking lot. The most intensive occupations, however, occurred during Late Archaic times, characterized by numerous fire-cracked-rock hearth features replete with net sinkers and straight stemmed projectile points. One of the most spectacular features recovered from the island was a cache of nine stone artifacts consisting of celts, celt blanks and an axe blank. These were found in a tightly stacked arrangement that was seemingly placed in a small hole. A straight stemmed point was found near-by and radiocarbon dating places the feature’s age at about 4000 BP. The cache is interesting for several reasons but one of the most striking is that it seems to combine two technological traditions - celts and axes - that archaeologists once thought were from different time periods. Celts are axe-like implements, 10 cm. to 15 cm long, rectangular in shape, and usually highly polished. The cutting edge or bit could be straight or curved and the poll end was frequently tapered. They usually occur in the Woodland Period, but especially in the Late Woodland. They are believed to have functioned as small hatchets although edge wear patterns suggest they were used on soft materials as associated with skinning and butchering of animals. Axes are usually much larger, weighing five or ten pounds and up to 40 cm long. They were hafted into a handle facilitated by a groove pecked into the pole or blunt end of the tool. These are frequently ground and polished into shape. Stone axes were clearly used in heavy duty cutting activities and frequently show damage on the bit end. During the Middle Archaic Period they usually exhibited a full groove, however, by Late Archaic times, axes were usually only ¾ grooved. Archaeologists classify celts and axes as ground stone tools, although they are also known as pecked and polished stone tools, these descriptive terms refer to how they were made. Celts and axes were either made from large flakes cleaved from river cobbles or from cobbles that are similar in size and have a general shape of the desired finished product. Native Americans in this region frequently chose dense volcanic or metamorphic rocks for these tools. The first step was to chip them into the general shape of the tool called a preform. This was followed by hammering the piece (called pecking) with a hammerstone until all of the flake scars were removed and the piece achieved it’s near final form. Axes have a groove for hafting and this would be pecked into the pole end running perpendicular to the long axis of the tool. Essentially the entire surface was crushed by this pecking process enabling the final step of polishing. Polishing was completed using a fine textured rock or a mixture of sand and lots of water to achieve a smooth finish. This process was especially important for the bit end. It is important to note that for an average size implement such as those from the City Island cache, this process of chipping, pecking and grinding and polishing could easily require twenty hours or more to complete. Axes start off very large, 30 to 40 cm long and are gradually worn down in size through re-sharpening the bit subsequent to breakage and dulling. The pole end of an axe frequently shows damage from being used as a hammer. It is unclear, how or if, celts were hafted. One experimental form designed and successfully used in the construction of several dugouts (Carr, McLearen, Herbstritt, Johnson 2006) consisted of inserting the pole end of the celt into a large wooden handle. The celt/axe cache designated Feature 26 was recovered from within an area of the site near the bottom of a buried A horizon. The artifacts were stacked in parallel fashion, aligned northwest by southeast. This feature measured 27 cm north-south, 32 cm east-west and was 18 cm deep. The smallest specimens were placed on the top of the larger ones, with the largest on the bottom. Two nearly finished celts were on top, followed by the five other blanks. Located on the bottom was a very large flaked stone biface, and a large unfinished axe. Top image is map from the field of cache in situ prior to removal. Bottom image is recreated based on field record. The two nearly finished celts have been pecked over most of their surface. The polishing had begun on the bit half. Both implements are made from finegrained sandstone. Based on the presence of cortex, both of these originated as flat cobbles approaching the size and shape of the finished product. One of these (Cat. 1250.1) is plano-convex in cross-section and could have functioned as an adze. The other (Cat. 1250.7) is biconvex in cross-section and could have functioned as an axe or some sort of a defleshing tool. 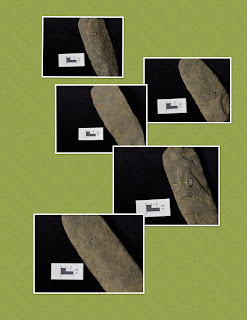 Five specimens appear to be preforms or celt blanks. One of these is rectangular in shape, but rounded on both ends (Cat. 1249.1) and minimally trimmed along the edges. This implement could also have been made from a flat cobble. The other four are large flakes and at least two retain their cortices from the original core or block of material. All are narrow and thick and seem to have been initially struck or formed, using large hammerstones. The flaking morphologies of these preforms range from extensive bifacial flaking to minimal trimming on the ventral surfaces. Three of these (Cat. 1250.2, 1250.3 and 1250.4) are plano-convex in cross-section. The fourth example is the most extensively flaked bifacial piece (Cat.1249.2) and is bi-convex in cross-section. The largest piece from the feature is an argillite/hornfels flake (Cat 1250.5), 34 cm in length and 3.6 cm in thickness. Based on its width to thickness ratio, this example could have been produced by a soft hammer or a massive wooden billet. The bulb of percussion has been removed and the bifacial edge has been minimally worked. The intended use for this piece is unknown. The last specimen is an unfinished axe of finegrained sandstone (Cat. 1250.6). The body has been chipped into shape and the bit end pecked but not polished. The groove was not started but the overall shape is that of an axe and not a celt. Interestingly, six meters to the east, in the same level another unfinished axe (Cat. 1398.1) was recovered. The bit end had been chipped, although smashed by subsequent hammering, and a groove was started on one face. The cache feature demonstrates that celts and axes were being made by the same people and were used during the same time period. However, the obvious question is why were these artifacts from Feature 26 neatly stacked, placed in a hole and never retrieved? They probably represent 50 to 75 hours of work. This cache inspired us to build several dugout canoes but we will never know what was on the minds of the prehistoric technologists who left these behind over 4000 years ago. We would like to thank Bob Smith (retired geologist from the Pennsylvania Geologic Survey) for identifying the lithic material types of these artifacts. He has helped us many times over the years and we sincerely appreciate his detailed descriptions of lithic types and where they may have originated. Next week’s entry promises to be free of crop circles, UFOs or any other wingnut conspiracy theories that may be out there. Until then, stay scientific. Among the essential media utilized by Native American cultures for making tools for daily use were the horns from deer, elk and other cervids living around them. Much of this material, better known as antler was worked and shaped by carving, scraping, grinding and smoothing with stone tools and in more recent times with tools of iron such as axes, knives and other similar items obtained through trade with Europeans after their arrival in the New World. Many of these objects are found in the material record when archaeologists investigate Native American habitation sites through careful excavation. In Pennsylvania and other parts of eastern North America some of these antler objects were used to make something else – in a manner of speaking, tools to make tools. Examples of this are the so-called “antler flakers” used to knap arrowheads and other stone tools (Figure 1). These unique tools are remarkably uniform in shape and size from region to region. Antler flakers, however, vanish from the archaeological record by the mid-1630’s when their utility becomes obsolete due to new innovations in Native American tool kits . Coupled by a cursory search of the files and repository at the State Museum of Pennsylvania’s Section of Archaeology and a review of the literature on the topic provides us with information on a sample of these objects which follows. For comparison, data from three cultural regions around the Finger Lakes of New York and, the lower Susquehanna of southcentral Pennsylvania were used that provide us with some interesting insight on antler flakers. During the early to mid-sixteenth century antler flakers show up on early proto-Mohawk sites located in the Mohawk valley of eastern New York. There, three sites, Garoga, Klock and Smith-Pagerie yielded ten antler flakers, a small number when compared to compilations from other sites (Funk and Kuhn 2003). 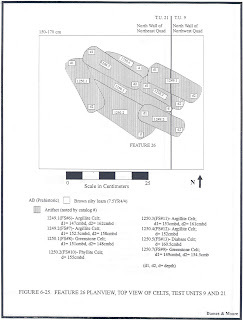 At a fourth Mohawk site, the Rice’s Woods site dated to the AD 1580 -1614 period, six additional antler flakers were found all sharing similar morphological attributes (Snow 1995; Figure 5.26). Within the Seneca sequence (Wray 1973) antler flakers have been found at five early proto-historic Iroquois sites where they are apparently common, in fact, quite common (Wray et al. 1987; 1991; 2001). At the Adams, Tram and Cameron sites, Seneca settlements occupied in the late 16th to possibly the earliest decades of the 17th century, the morphology of antler flakers mirror that which is found in the Mohawk data, albeit present in greater frequency. These variations in the data might best be explained by differences in the provenience data of the two regions (ie. middens vs. cemeteries). 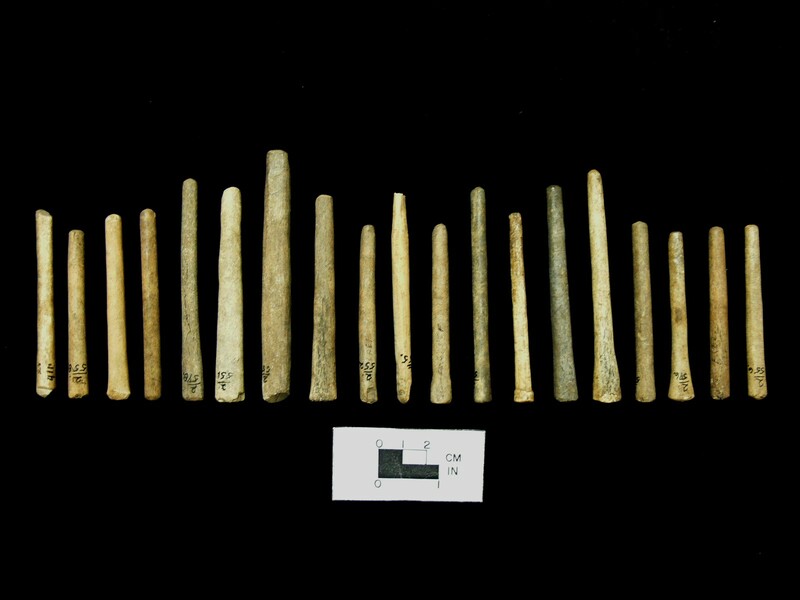 In the lower Susquehanna valley, antler flaker data from the Susquehannock occupations at Schultz and Washington Boro village sites show a similar chronological pattern when comparisons are made with the New York sites, especially Seneca and the later Rice’s Woods Mohawk site. Excavations conducted at the Schultz and Washington Boro sites in the early 1930’s (Cadzow 1936) and again at Washington Boro in the early 1950’s (Witthoft nd.) followed again at Schultz in the 1970’s (Smith 1970; Casselberry 1971; Kent 1984) provide us with the largest sample of antler flakers for Susquehannock. For villages of the lower Susquehanna valley the majority of these tools were found in the middens and trash pits of the longhouses and near the palisades where the Susquehannocks would go to build their settlements. Why do antler flakers disappear from the archaeological record around the beginning of the 17th century? The reason simply may be the change in tool technologies of the Native Americans at that time. With the infusion of European made trade kettles beginning around AD 1615-1625 stone arrowheads were rapidly being replaced with metal tipped arrow heads fashioned from cut kettle scraps made in the shape of their stone age predecessor. These small bit lethal weapon tips begin to turn up at the beginning of the 17th century. By the second to third decade of the 17th century metal arrow points are extremely common on all Iroquoian sites. By the third decade of the 17th century a few sites begin to yield evidence of guns which were beginning to be introduced into the native material culture in exchange for furs and other desired commodities. By the 1640’s (post Washington Boro Period) guns were largely the preferred weapon of choice of the Native American. Eventually bow and arrow technology was replaced by these new inventions which negated the need for the antler flaker. 1936 Archaeological Studies of the Susquehannock Indians of Pennsylvania. Safe Harbor Report No.2. Pennsylvania Historical Commission, Harrisburg. 1971 The Schultz-Funk Site (36LA7): Its Role in the Culture History of the Susquehannocks and Shenks Ferry Indians. Doctoral thesis. The Pennsylvania State University, University Park. 2003 Three Sixteenth Century Mohawk Iroquois Village Sites. New York State Museum Bulletin 503. The University of the State of New York. The State Education Department, Albany. 1984 Susquehanna’s Indians. Anthropological Series No.6. Pennsylvania Historical and Museum Commission, Harrisburg. 1892 Ethnological Results of the point Barrow Expedition. Ninth Annual Report. Bureau of American Ethnology. Pp.19-441. Washington. 1877 Methods of Making Stone Weapons. Bulletin of the U.S. Geological and Geological Survey Terr. Vol .3 pp. 547-549. Washington. 1970 Schultz Site Settlement Patterns and External Relations: A Preliminary Discussion and Possible Interpretation. New York State Archaeological Association Bulletin 50: 27-34. Nd. Unpublished Field Notes – Eschelman Site (36LA12). Section of Archaeology, The State Museum of Pennsylvania. 1973 Manual for Seneca Iroquois Archeology. Culture primitive, Inc. Rochester. 1987 The Adams and Culbertson Sites. Research Records No. 19. Rochester Museum and Science Center. Rochester. 1991 Tram and Cameron: Two Early Contact Era Seneca Sites. Research Records No. 21. Rochester Museum and Science Center. Rochester. Wray, C.F. etal. 2001 Dutch Hollow and Factory Hollow: The Advent of Dutch Trade Among the Seneca. Research Records No. 24. Rochester Museum and Science Center. Rochester.